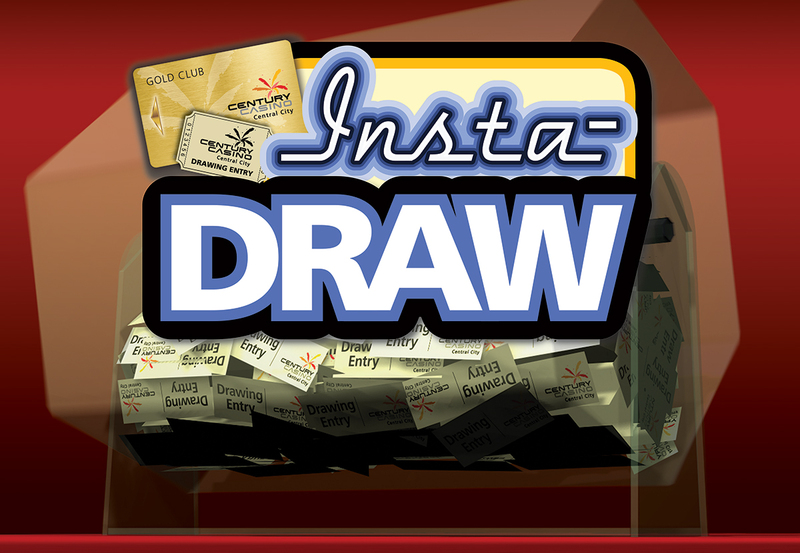 Win CASH and Insta-Play drawings right from your machine with Century's Insta-Draw! Our ticketless entry earn and drawing system makes winning effortless. Just sign up for our free Players' Card and always use it when you play a machine! You automatically earn Insta-Draw entries with every 50 base (unmultiplied) points you play on your card. On any drawing day, just playing with your Player's Club card will automatically place every entry you've earned during the promotion's earn period into our virtual drawing barrel. Just lusten for your name or watch any of our drawing display screens to see if you've won! Make sure to check out our Calendar to see your next opportunity to with an Insta-Draw promotion!